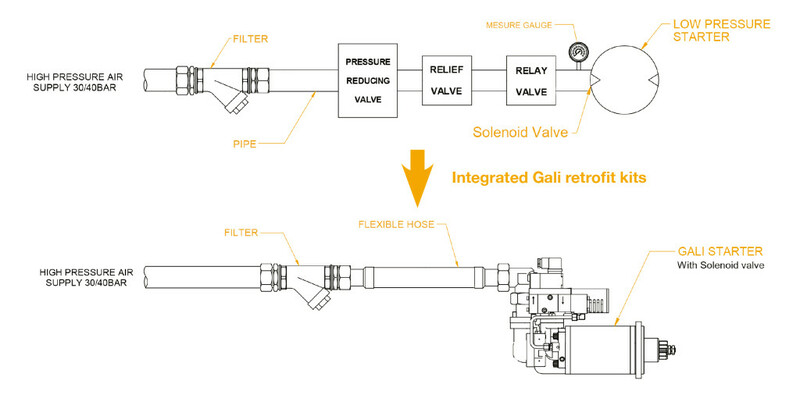 GALI provides complete retrofit kits for replacing other air starters on the market where 30 bars of air pressure is available. 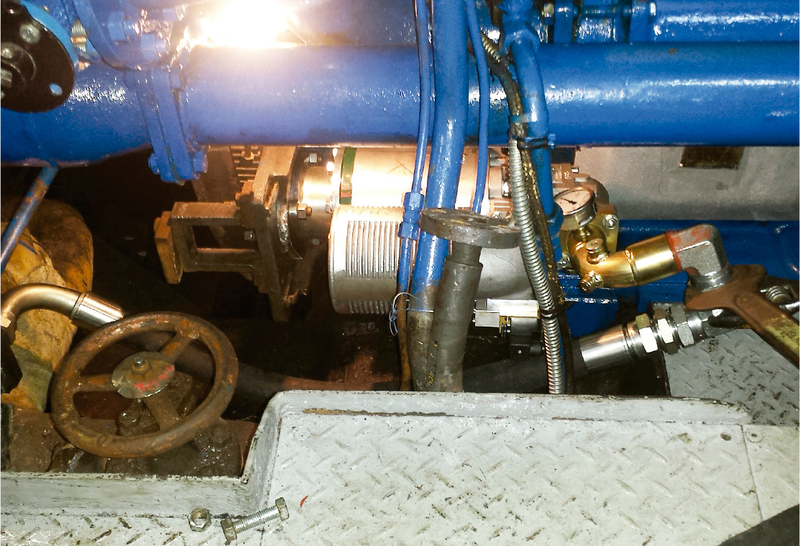 Our starters are connected directly to the main air supply pipe after removing problematic reduction valves and other elements. 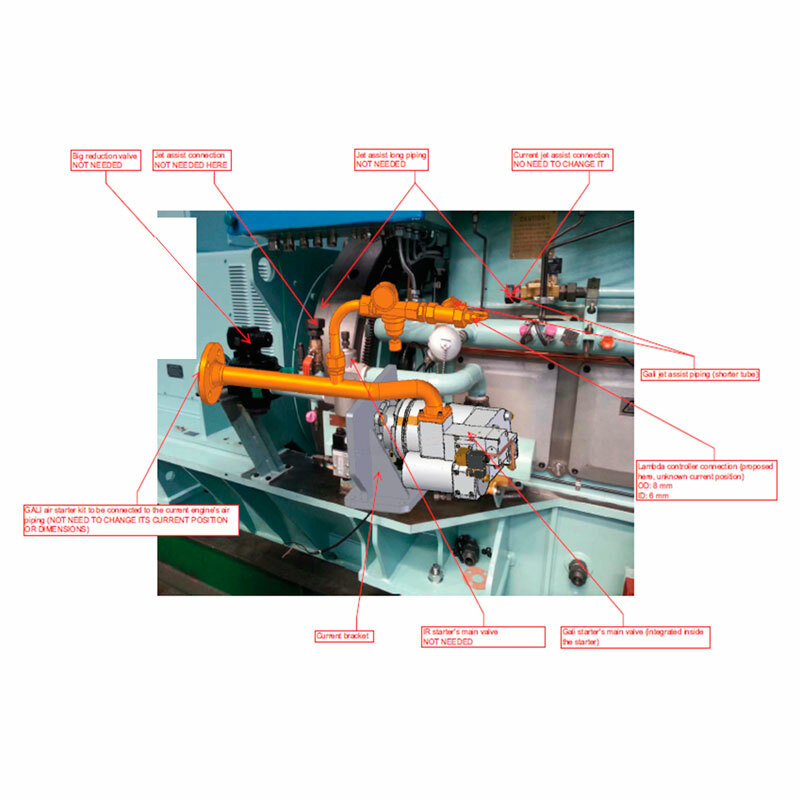 Please contact GALI for information on the correct retrofit kit. 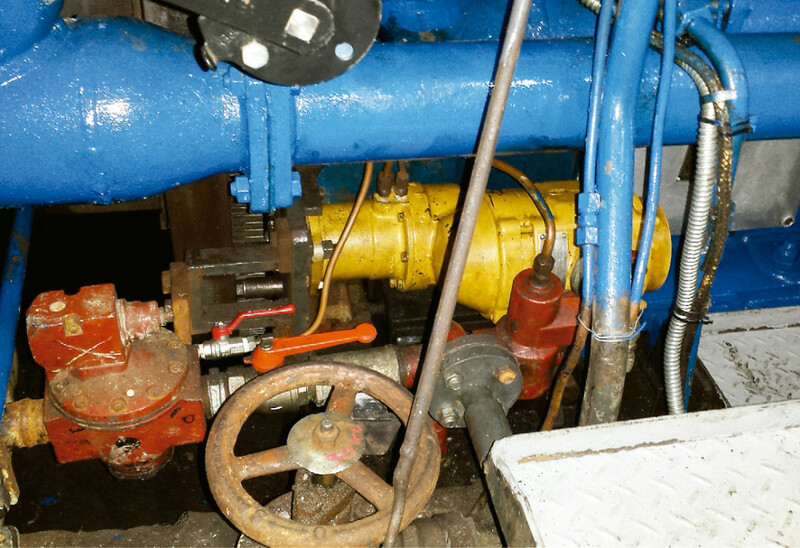 Menos componentes -más fácil instalación- solo proveedor. Antes del arrancador a baja presión. Después de aplicar el arrancador Galí.